It's Spider-Man's foe The RHINO! 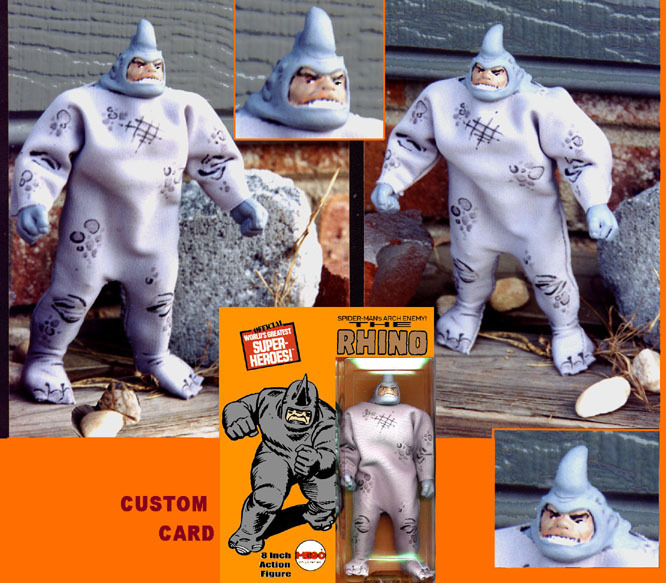 This Mego custom features a plaster cast of a Rhino salt-and-pepper shaker head(! ), re-painted, with custom marker-created suit! Another great Mego that shoulda been!